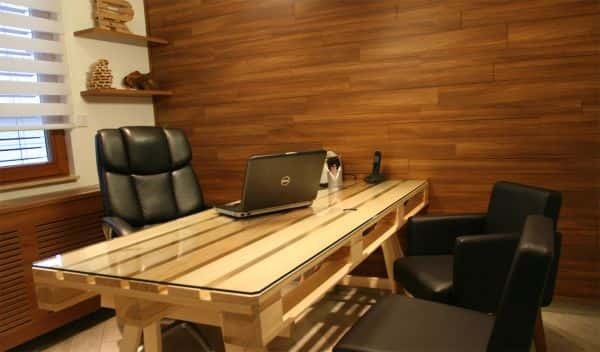 ^^A very classy and easy to put together office desk that looks professional. 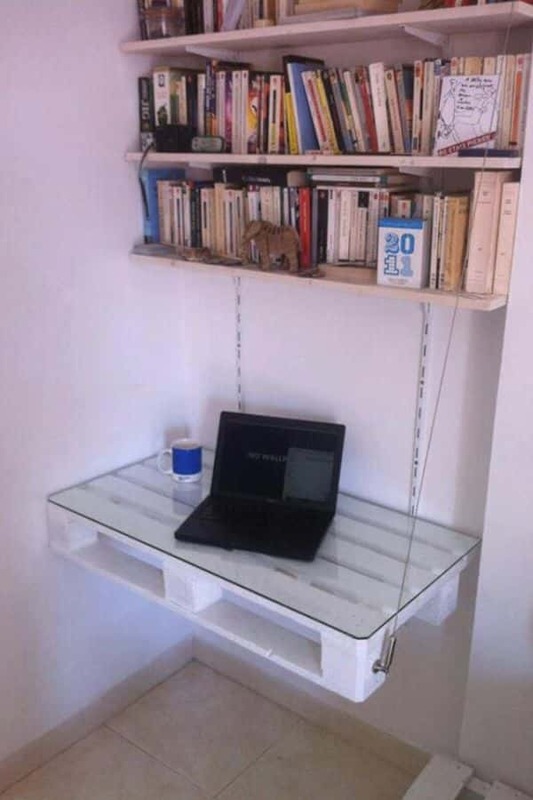 ^ Very good home laptop office idea, looks fantastic. ^ This one is my favorite, a very creative idea that is extremely versatile. 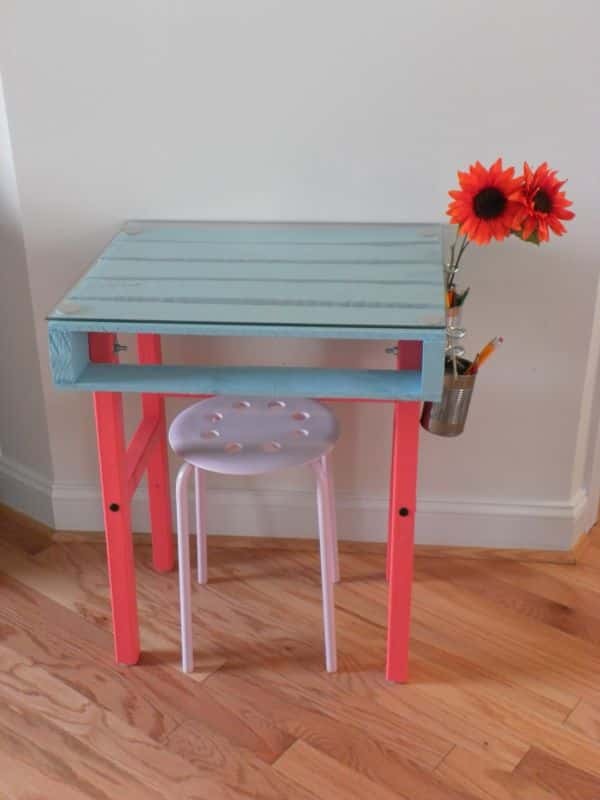 ^ A bright idea that would work well as a childs desk. ^ This was has a gorgeous rustic appeal that is very warm and inviting, love it. 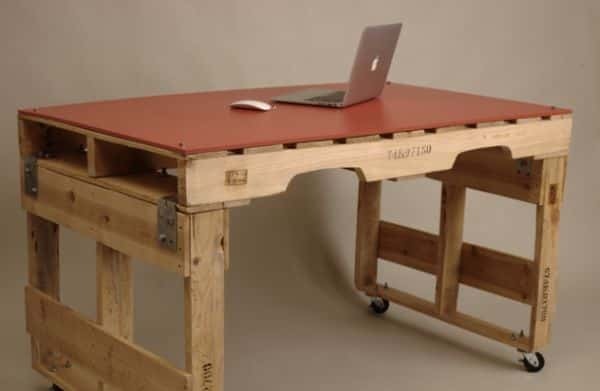 ^ A simple and effective industrial style design that is hardwaring and movable. 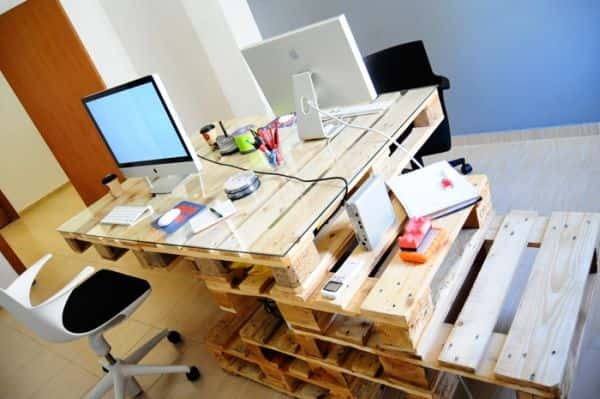 Wood pallets are an excellent medium that is easy to work with and they can be used in the home and in the office. People have created some very interesting stuff using them. 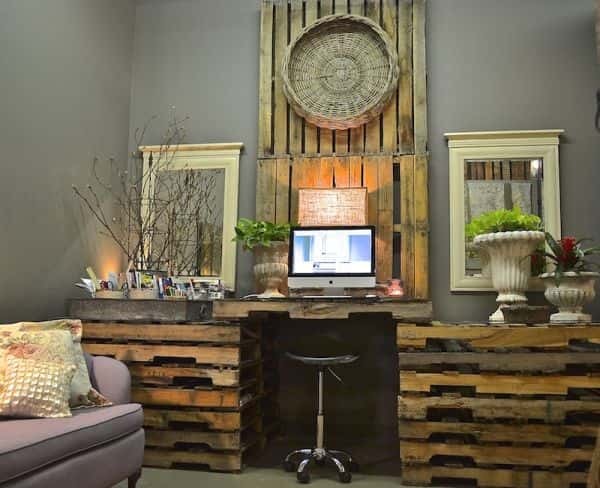 If you would like to see some more amazing, creative pallet projects check out Wood Pallet Projects: Cool and Easy-to-Make Projects for the Home and Garden.